Ezra was a great man. He was orthodox but liberal and gracious while seeking ecumenical unity amongst the American Churches. He believed that Christian sects were as important as local bodies because they were all flawed in some way and therefore humility, graciousness and kindness should prevail amongst men who served Christ. 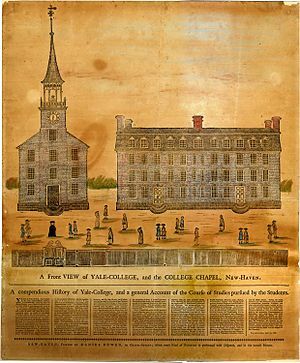 He improved the American college system by raising the standards and ceremony of Yale through a thorough and excellent liberal arts education. He was a great preacher, pastor and scholar. He did not diminish the role of Yale in providing preachers, he made them better candidates and improved the learned professions in his state and the United States. He was not a fan of the New Divinity School of thought as it strayed from “Edwardian Divinity” as he understood it. He believed the New divinity was hyper-Calvinistic and that it offered those who most needed the good news, nothing but contempt and vitriol. Stiles was an “old Light” but resembled the Puritans more than the “New Light” preachers like Whitfield. Stiles foresaw that Whitfield and other itinerant preacher’s teaching would gave way to anti-clericalism that weakened the faith and the church in Connecticut. His vantage point was such as to give his criticism of the Great awakening and new divinity legitimacy, given the years in which he lived (which allowed him to witness the fruits of the movement), his generosity and intimate relationship with key players. He believed pastors retired to their ivory towers at the close of the 18th century and spawned the decline of the church in Connecticut. Stiles always had time for those who disagreed with him and was universally respected for his piety, faith, learning, generous spirit, principled stance and graciousness. He had some warts though; arrogance and touches of worldliness which often tempts big minds in academia. However he is a great man in the history of the American Church. This book covers a lot and was very dense. Morgan’s work always ranks high in my estimation and this book did not disappoint. One of the best chapters was called “the books he didn’t write” about Stiles’ encyclopedic knowledge. If you want a good book on Colonial theology leading up to the Revolution and want to read about a great saint, then get this one. It’s worth it.